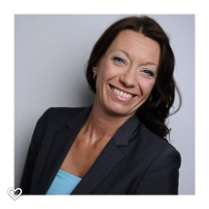 Camilla Sandström holds the position of Vice President of Sales and Business development at Sweetpay / Financial Tech Sweden. Camilla has a leading role in evolving Sweetpays hotel payment solutions on a Global market. She has over 25 years of experience within the HoReCa Industry and a great track record of delivering high results in different management positions, last 5 years as CEO for several Hotels. She has worked in organizations such as Scandic Hotels, Choice Hotels, and Accor Hotels. Camilla also holds seminars about leadership and volitio. If you want to get in touch with Camilla on LinkedIn, she will happily replay. Session description: Why is there that payments still is something we want and need but don’t put any time and effort into. How would it be if you could ease your payment journey along with reducing costs but also gain guests. If you think about payment methods as a strategy and show the guests that they can trust you and your systems to be seamless but yet secure you will not be needed a loyalty program you will have faithful guests anyway. We will put our chin out and say that payment methods are a Customer Care and therefore sould be a top priority. The future is in the hands of the Millennials and Generations Zs and they are all about ‘see now pay now’. So payment solutions are starting to be on top of the company agenda. So in this session, we will discuss the changes ahead and how payment solutions become more and more important for the hospitality industry and within a near future a crucial brick in the strategies to gain and keep guests and make profitability out of the seamless solutions of payments.